Is it possible that your loved one’s addictive behaviors are at least partially your fault? That is a controversial question designed to provoke an emotional response. On the one hand, you really may feel guilty for their substance use that also has an impact on your life. On the other, you may feel angry at the suggestion that your loved one’s behavior is somehow tied to your own. The concept of “enabling,” or what Psychology Today calls, “lending a hand to help people accomplish things they could not do by themselves,” can actually help perpetuate the behaviors you are trying to stop. This article explores some common enabling behaviors and provides guidance on how to stop enabling an addict and actually start empowering the person to get the help he or she needs in Washington State drug rehab. The truth is that the addiction is not your fault. However, covering for the drug or alcohol addicted person allows him or her to continue the behaviors that led to the substance use. While no one chooses addiction as a conscious decision, at some point, the substance user must recognize that he or she cannot continue without irreparable harm to everyone involved. By enabling an addict's behaviors, family members delay the addict’s reaching this critical point which, in fact, is the first step on the road to recovery. Have you ever offered money to help a gambling addict with debts? Have you ever called your spouse's employer and requested a sick day because he or she is hung over? Do you have a child who abuses drugs living in your home because he or she cannot keep a job? These are all the kinds of behaviors labeled as “enabling” that do more harm than good. Setting boundaries with substance users that protect the rest of the family, and yourself, while also forcing the addict to take responsibility for the addiction is ultimately best for everyone involved. This “tough love” will be very hard for you, but it is likely the addict will not be able to get well without it. In reality, addicts need their loved ones to make it as uncomfortable as possible for them to remain in their active addiction. If you have an addict in your life, this is actually the most loving thing you can do for them, because it holds them to a higher standard and encourages them to take responsibility for themselves. Avoid the temptation to make life "easier" for an addict by enabling destructive behaviors. Instead, encourage your loved one to take responsibility for his or her health and actions and enter Washington State rehab to confront the root of addiction and get the help that is needed to begin the recovery process. 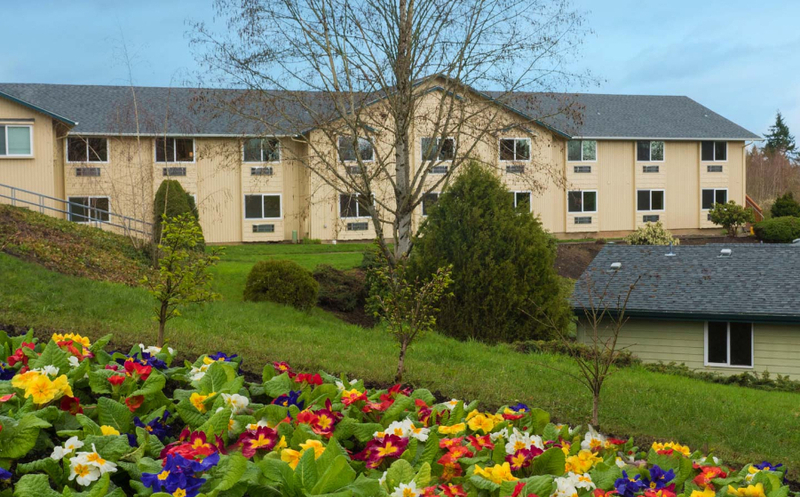 In Washington State drug rehab, we provide behavioral counseling as part of treatment plans designed to stop addiction and help families reunite in new, healthier ways.